Valorado por los clientes después de alojarse en el Regal Apartments. 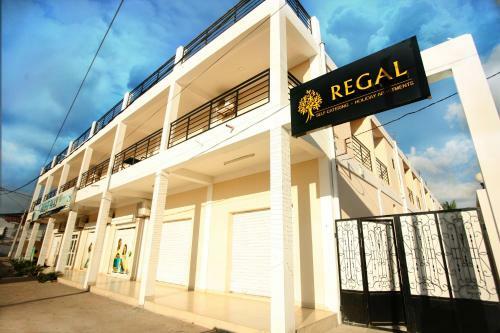 Todo el personal de Regal es excelente, me he sentido como si fuera mi segunda casa. La ubicación es excelente, la habitación grande, el personal de limpieza, recepción y jefe siempre atentos y cordiales. Vigilancia 24 horas. The property was Clean and very specious. They even organised a cab for me back to the airport at 4am. The owner was so friendly and professional. I will be staying there again with a full team. Receptionist 24/7 and they knew that I was arriving and had everything ready. 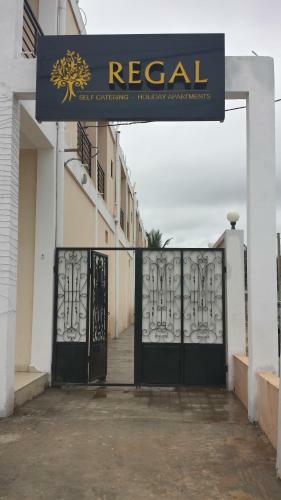 Very nice clean 1 bed room apartment with all the cooking and dinning utensils you would need, new good quality towels and bedding.Very friendly staff, good location only 10 Minuit walk to the Senagambia strip or a $2.00 taxi ride, well stocked supermarket on site. Will defiantly stay here next time we visit Gambia. good lighting of the appartment. Nice rooms and kitchen. Supermarket in the same building - close ways to get fresh things. SUPER FRIENDLY STAFF and VERY CLEAN ! • Really nice and clean place to stay. • looks exactly as is in pictures • Has a grocery store downstairs, which was quite handy. The staff are always very friendly and helpful. The apartments are cleaned when you hand your keys in and done to a very good standard. Shop literally just next door which is very convenient. Pool is very relaxing and clean. Very good kitchen facilities. Great location! Very close to the beach. It is difficult to fault Regal Apartments. I was particularly impressed with the space available in the apartment. The owner seems to have thought of every eventuality. The staff were friendly and obliging, attentive but never invasive. I felt valued as a guest. Consigue un precio espectacular para el Regal Apartments. Las personas que se alojaron hace poco le han dado una puntuación de 9,2. El Regal Apartments se encuentra en Kololi y ofrece WiFi gratuita y una piscina al aire libre. El establecimiento está a 1 km de la clínica Afromed y proporciona aparcamiento privado gratuito. Los alojamientos disponen de zona de estar y zona de cocina con nevera y fogones. El baño es privado y cuenta con ducha. También se proporciona ropa de cama. El establecimiento ofrece un servicio de entrega de productos de alimentación. 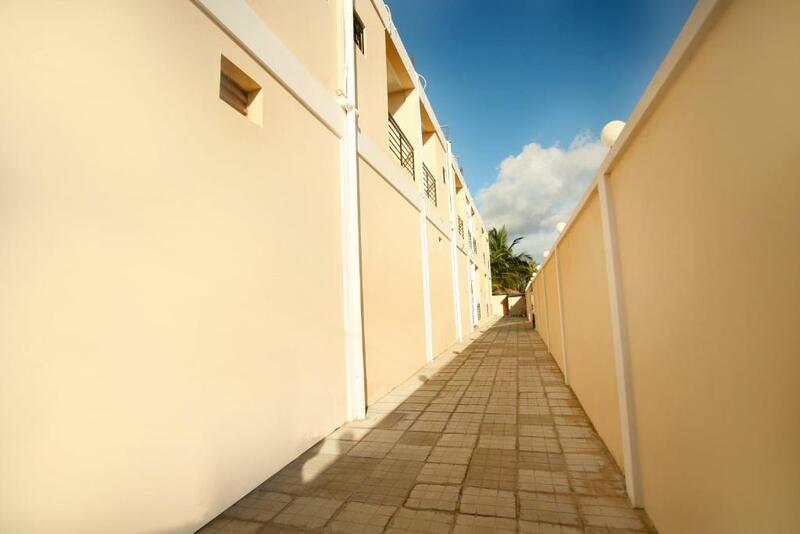 El Regal Apartments se halla a 1,2 km del parque de monos Bijilo, en Banjul. El aeropuerto de Banjul queda a 13 km. Además, la puntuación de este alojamiento es de las mejores en Kololi. A los clientes les gusta más que otros alojamientos de la zona. Regal Apartments recibe clientes de Booking.com desde el 13 de ago de 2017. ¿Cuándo quieres alojarte en el Regal Apartments? Este apartamento incluye aire acondicionado, suelo de baldosa/mármol y TV por cable. 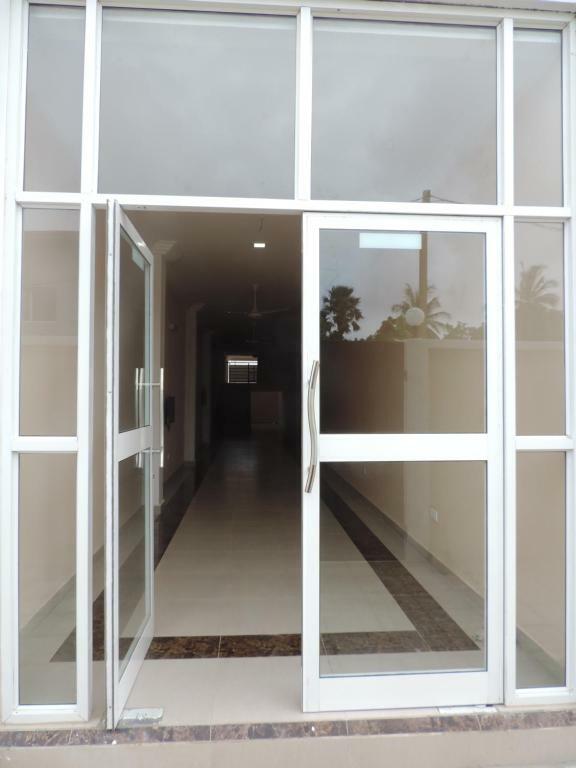 Este apartamento dispone de cocina privada, salón, zona de comedor y balcón. 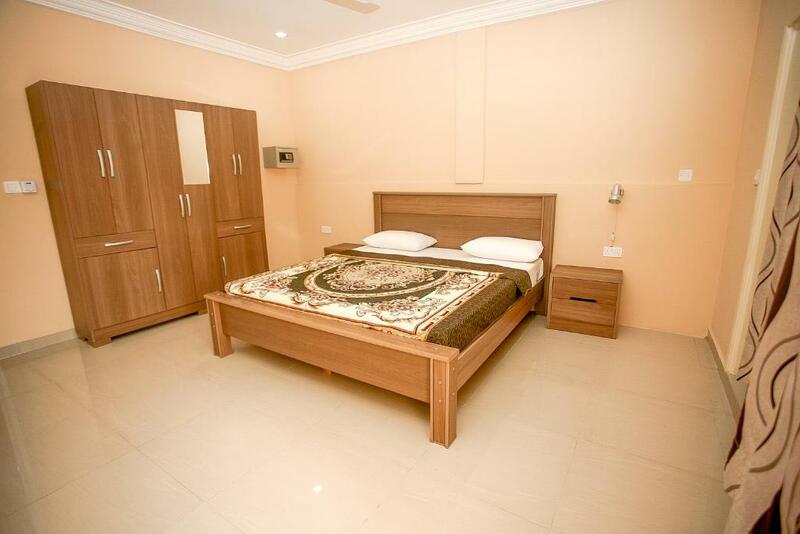 Our property offers newly built spacious one and two bedroom apartments furnished and equipped so that you can have a comfortable stay. Our apartments are ideal for individuals, businesses, groups and family stays . 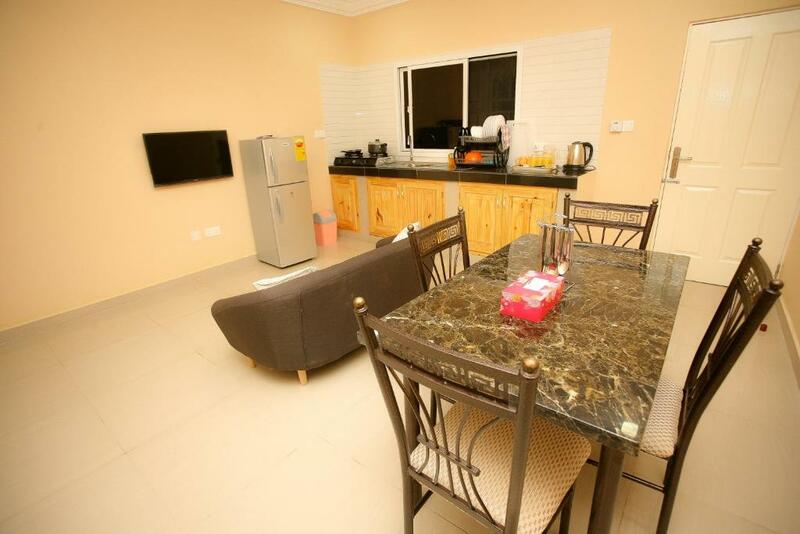 Each apartment boasts ample lounge/dining space and kitchenettes to provide you with the freedom to cook your own meals and relax in privacy. 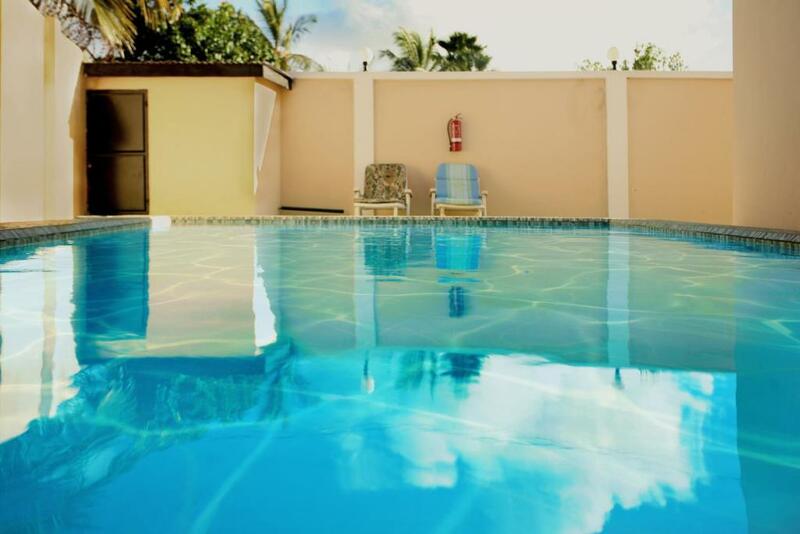 The apartment offers our clients a plunge pool access so that you can enjoy a refreshing dip and swim at leisure. Conveniently located on the ground floor of the apartment is a well-stocked supermarket for your everyday needs. Gambia is known as the Smiling Coast. This is because the people of Gambia are very friendly and you're most certainly going to see them greeting you with a smile. Gambia boasts many tranquil beaches along its coast and there are many beaches that can be accessed from the apartment. We also encourage you to visit some beaches on the southern coast. If you are passionate about wildlife, then Gambia offers you the opportunity for bird watching, Abuko Nature reserve, The Monkey Park and sport fishing. Importantly, Gambia is a place you can come to relax and enjoy to escape from busy and stressful lifestyles. 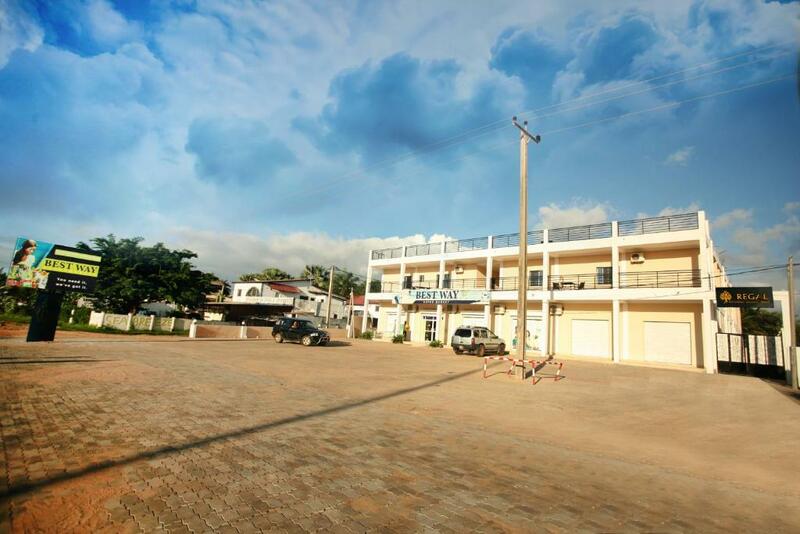 Kololi is in the central tourist area of the Gambia. There are many restaurants, bars, nightclubs and beaches within strolling distance of the apartment. We are also fortunate to have a supermarket on site which can provide you with your daily needs at reasonable prices. Léeme Regal Apartments acepta peticiones especiales. ¡Añádelas en el siguiente paso! El uso del aire acondicionado conlleva un suplemento.